The issues behind the presumptive Republican nominee’s call for a wall are well known. There is continuing, though declining, immigration into the United States; Mexican cartels traffic in drugs and people; drug money corrupts officials on both sides of the border; the Mexican economy benefits from money sent home by immigrants; and some American businesses benefit from low-wage labor. A wall may or may not be a solution, but we do have a longstanding bi-national institution that has been used for border problem solving and could be used to transform this polarized issue into one of diplomatic negotiation. The International Boundary and Water Commission was created in 1889 to resolve territorial issues and later evolved into dealing with river water allocation concerns, border sanitation problems, joint construction of facilities, maintaining the integrity of the boundary and related issues. One of its major projects was a joint international wastewater treatment plant in the border cities of Nogales, Mexico, and Nogales, Arizona. Starting in 1951 and with improvements over time, the commission developed a fair approach. Commissioners used offsetting costs like cheaper labor and material costs as well as lower water standards in Mexico. So, a 50-50 equality could become a 60-40 or 70-30 “fair” sharing of costs. From a bi-national federal perspective, this was a win-win situation, although at a local level ongoing fiscal issues remain. If a President Trump pursued building a wall at the border, he could use the commission to develop an equitable approach. There is more than one way to conduct a negotiation, after all. Discussion of the Trump wall during the California presidential primary will drown the news cycle in a cacophony of claims and counterclaims. The better outcome would be an approach that dealt with a host of bi-national border problems — from human and drug trafficking, to environmental challenges, to an orderly system for guest workers — through the existing commission. These problems will remain as an irritant to border cooperation. 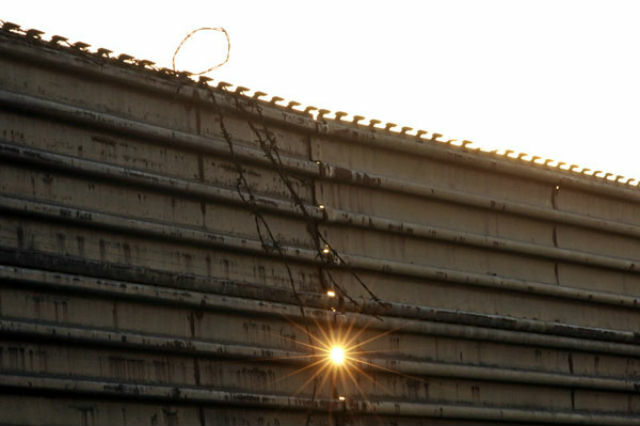 In a positive light, discussions of the Trump wall could be the spark to a better relationship between the U.S. and Mexico, addressing the needs on both sides of the border.